The Raspberry Pi is a nifty single-board PC. 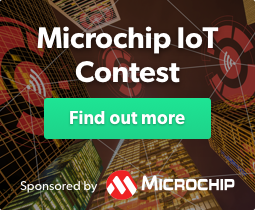 It's an all-in-one device capable of numerous projects from voice-controlled Internet of Things gadgets to wall-mounted dashboards. Using a Raspberry Pi, it's simple to create a streaming music server. Learn how to create your own Spotify with a Raspberry Pi for streaming music on the go. Unlike a larger PC, the Raspberry Pi features a low power draw. Therefore, it's ideal for an always-on server. 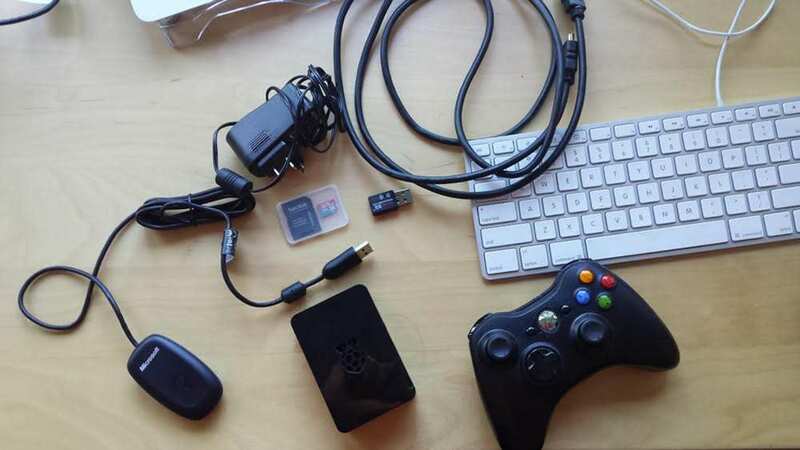 Moreover, a Raspberry Pi retails for far less than a basic PC. With the low start-up cost and power draw, this is a spectacular server choice that won't drive up your utility bill. Whereas video transcoding, especially for 1080p and 4K files can be pretty CPU intensive, the Pi handles audio transcoding flawlessly. For storage space, you can house all of your music on the Raspberry Pi’s microSD card. However, it’s more economical and easier to use an external device. Anything from a flash drive to an external hard drive and even a network attached storage (NAS) device will function. I simply store my music collection on a 256 GB USB stick which I have attached to my Pi. That way if I end up reinstalling my operating system, I don’t need to transfer all of my music again. Next, you’ll need to pick what operating system (OS) you’d prefer as your server foundation. Additionally, select what streaming software you will use to play music remotely. For your operating system, I suggest using Raspbian. It’s a Debian-based OS specifically build for the Raspberry Pi. It’s lightweight, so ideal for the Pi’s modest hardware. However, since Raspbian is a Linux distribution (distro), you benefit from the capabilities of a full-fledged Linux OS. There’s no shortage of music server options. Which is best for your needs depends on your priorities. If you wish to create a streaming video and music server, the software you’ll want differs from what you’ll prefer is merely creating a streaming music server. Plus, differences in the client apps for Android, iOS, and browsers further separates these options. Subsonic spawned several forks, including Madsonic, Airsonic, and Libresonic. Subsonic and its forks are designed for music streaming. I’ve used Plex which I have on my ThinkServer TS140 media server, and while I enjoy the client app for movies and television, I prefer Subsonic and its derivatives for music streaming. Those client apps boast enhanced caching techniques. My go-to is Madsonic. It’s simple to set up, and the Android client app is superb. Plus, you can sync your Madsonic server with other client apps including Subsonic and DSub. Subsonic and Madsonic migrated to closed-source. Both remain fantastic for both local and remote streaming. Yet you’ll need a premium subscription for remote streaming. I’d recommend Plex if you plan to stream both video and audio. For purely music, I really enjoy Madsonic for is intuitive installation and start up. Suggestions: Plex for a video/audio streaming server, Madsonic for mostly music. Here’s how to set up your own Spotify with a Raspberry Pi! Before you begin installing your server software, you’ll need to load Raspbian (or your operating system of choice). Download the Raspbian image or use NOOBS. Once you’ve downloaded your OS, it’s time to load that on a microSD. How you proceed depends on which you’re using. If you’re using NOOBS, installation is incredibly easy. Merely unzip the ZIP folder, and place the uncompressed folder on the root of your microSD. Then, just pop the microSD card in your Raspberry Pi. Upon initial boot, you’ll need to select which OSes you’d like to install. Installation varies depending on which server software option you choose. For Subsonic and its forks, you’ll need the latest version of Java. You should see the default Subsonic login screen. Upon initial install, use the login/password combination of admin/admin. As a first step, it’s best to change your admin username and password. Then, under settings select your music folder. I highly recommend using an external drive. At this point, your Raspberry Pi is configured for use as a streaming music server. However, for remote streaming, you’ll need to first opt for a premium subscription. The process for Madsonic and other Subsonic forks is essentially the same. You may choose to run other server software like Plex instead. While you can install Plex, setting up Plex on a Raspberry Pi is a bit different. Instead of the standard Plex installer, you’ll need to use Day2Dev’s Plex Media Server. This ensures your Raspbian installation is up to date. Replace the line ip=MY IP with the IP address which hostname -I yielded. Press CTRL + X to exit and save your changes. Now, all that’s left is adding your libraries. Open a browser, and navigate to http://localhost:32400/ which will open the Plex web user interface. Your libraries will vary depending on where you’re storing your media. Since my music files are on a flash drive, I selected the path to folders there. In the web UI, click on the Libraries folder on the left pane. Click the + sign. Plex will prompt you for the library type, so pick the correct content type (i.e. movies, music, TV shows). Then, Plex will ask you to choose a media folder. Select “Browse for Media Folder,” and select the correct path. Ensure that all of the settings yield green “Ok” messages across the board. Fill out a bit of basic information for your Ampache database including a username and password. Now, you can begin to use your Ampache server. Creating a streaming music server on a Raspberry Pi is a simple yet functional project. You reap the benefits of access to your entire music collection from any Internet-connected device and a variety of client apps on Android, iOS, and more. I’d recommend Madsonic for most users. If you’re a heavy video user and wish to host movies and TV shows as well, I recommend Plex. Overall, a Raspberry Pi music server is fairly easy. Merely select your preferred software, set it up, and point your Raspberry Pi music streamer app to your music collection. Mopidy remains a neat alternative with its combination of a self-hosted music server and third-party apps. For open-source fans, Ampache, Libresonic, and Airsonic are excellent picks. Your turn: which Raspberry Pi media server software options do you recommend to transform your Raspberry Pi into a DIY Spotify?